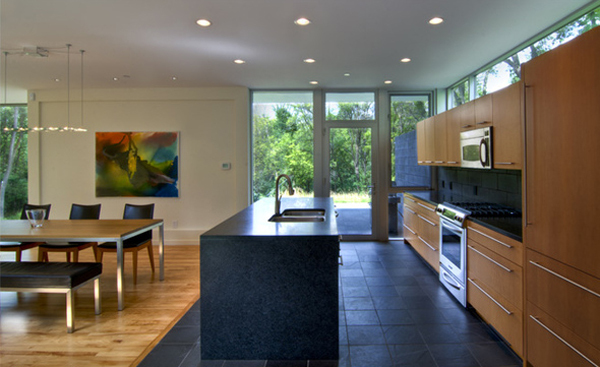 There is an undefinable charm that characterize secluded homes. 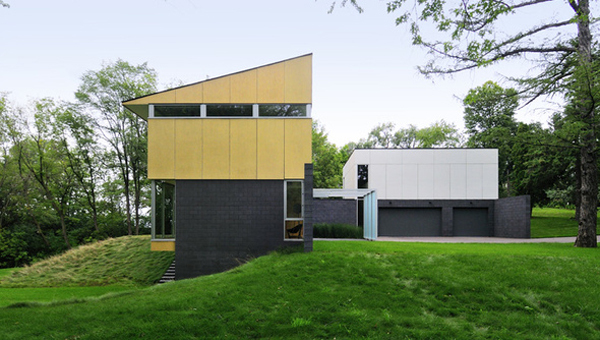 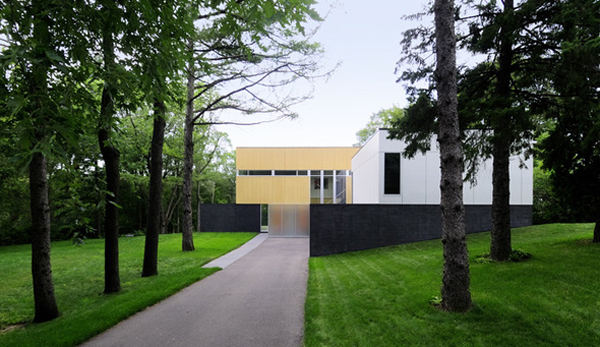 In this particular case it seems that the Minnetonka Residence from ALTUS Architecture + Design reigns over its forest landscape while taking advantage of the best it has to offer. 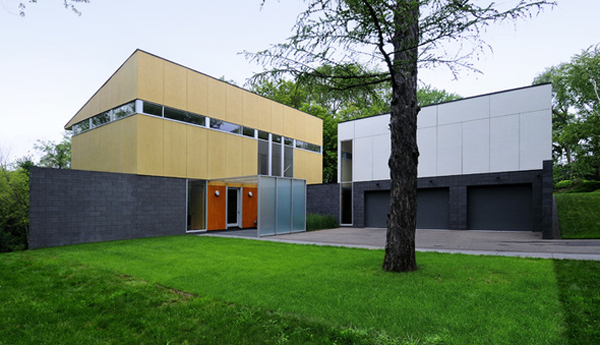 Especially developed for a European family, this home features open spaces for playing and living, together with an outdoor entertainment area. 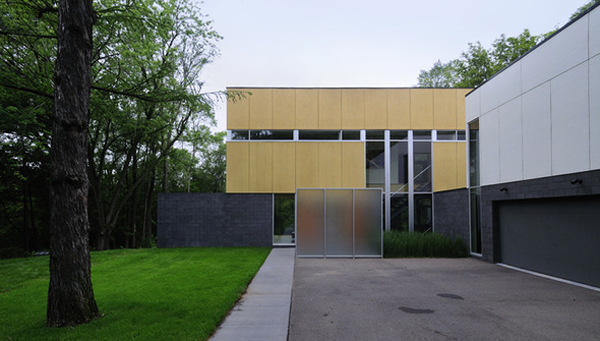 The building is L-shaped, strongly contrasts with its surroundings and has a striking contemporary appearance. 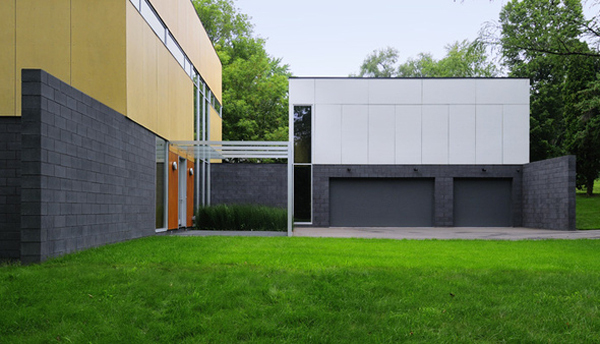 Here is some interesting information on the materials used to build the residence and the costs implied: "The non-maintenance exterior is composed of folded planes of black concrete block as a sculptural base, which is expressed inside the house. 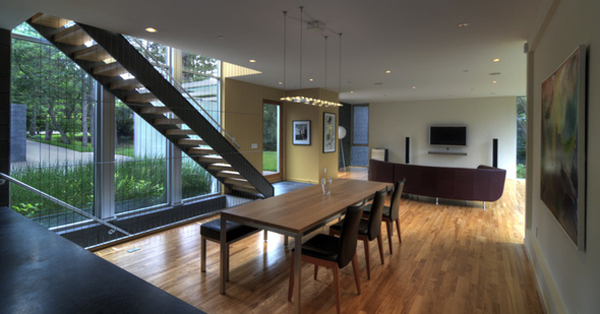 The upper level contains the bedroom wing and a play space over the garage. 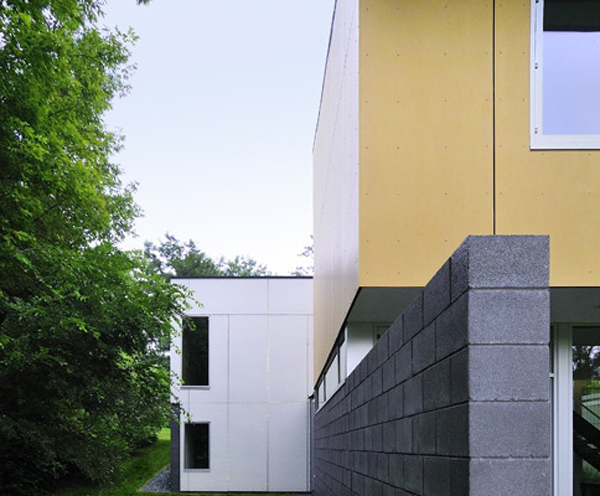 These two forms rest on the black base as ochre and gray fiber cement panels. 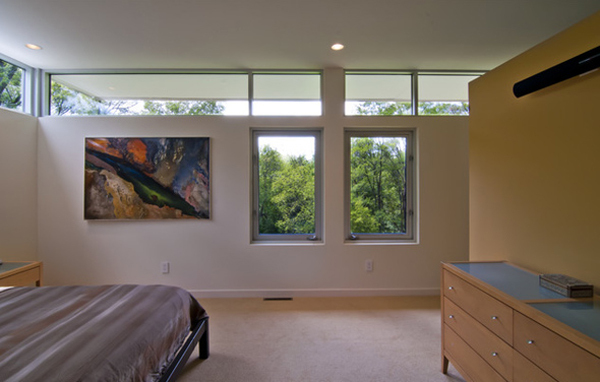 The aluminum windows create expansive views on the main level and draw in natural light through clerestory glass on the upper level. 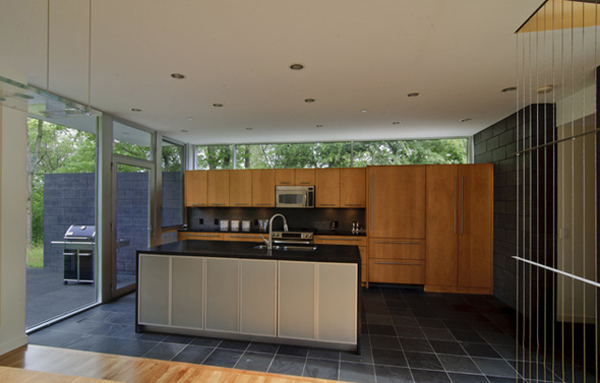 Dark Slate and Red Birch floors and custom Birch cabinetry extends the materials palette to the interior. 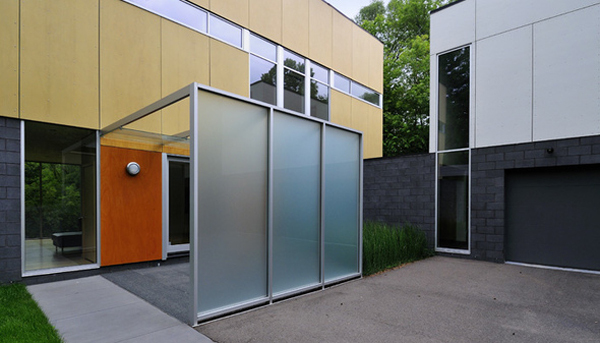 The quality of space and materiality was accomplished for a modest $135 per square foot, including landscape." 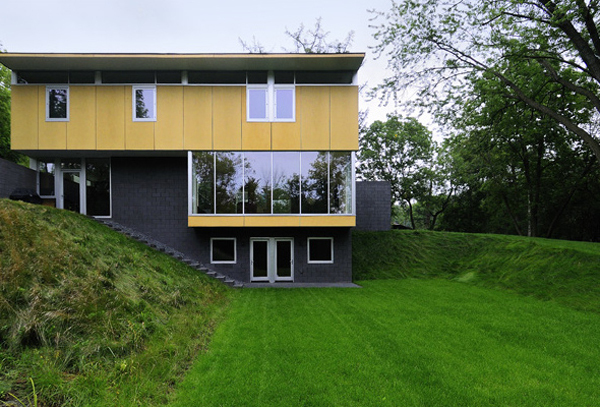 What is your opinion on this home? 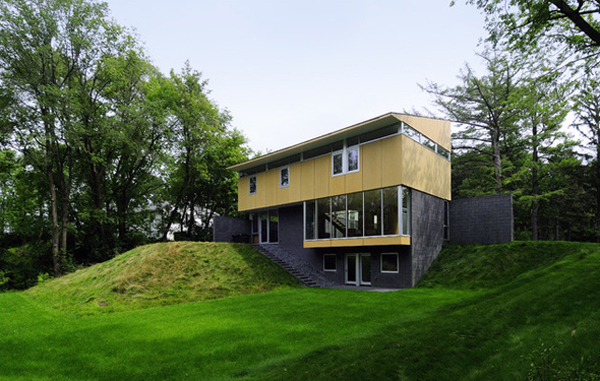 Do you think the architecture of this project was well adapted to its environment?